You know by now if you read my blog on a regular that I strive to slow down the aging process the natural way. So I like to do a lot of research into what actually reduces fine lines and wrinkles. I first discovered Cacay Naturals when it was mentioned in Vogue’s 100 year edition. They described it as the ‘miracle oil’ and I just knew I had to find out what it was all about. Just when we all thought it couldn’t get any better than Argan Oil and Rose Hip Oil a new oil is on the market that seems to knock them all off their pedestal. 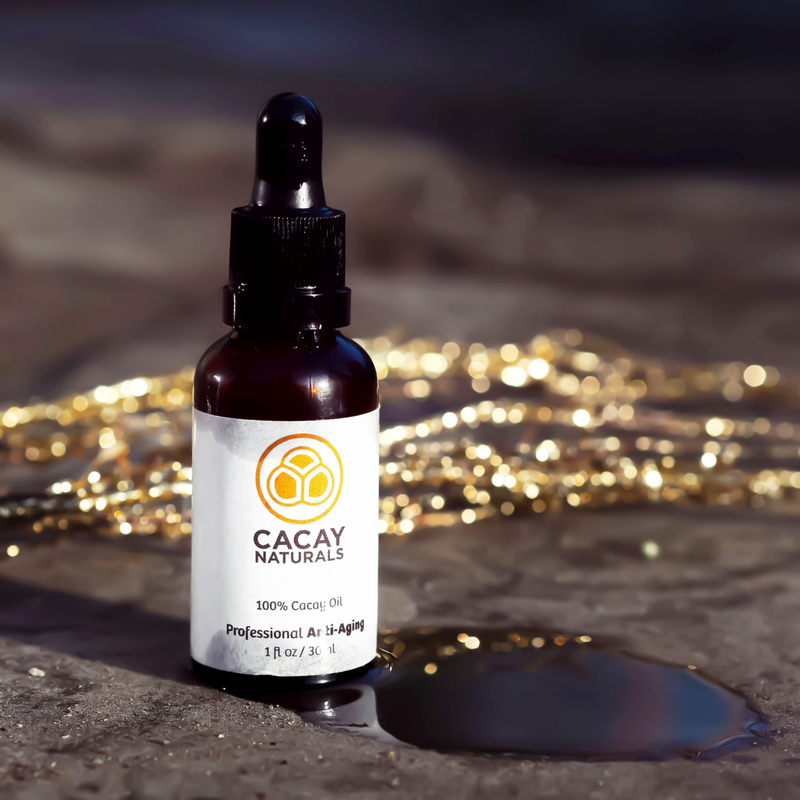 Cacay Oil is one of the best natural sources of Vitamin A, even better than Rose Hip Oil. It contains three times more retinol (an age-battling vitamin A derivative) than other popular oils. Vitamin A thickens and stimulates the dermis – where your collagen, elastin and blood vessels are – so it reduces wrinkles and increases blood flow to the surface of the skin. Vitamin A actually increases the deposition of collagen; therefore it slows the normal aging breakdown of your collagen and elastin. Vitamin A decreases sebum production and thus treats acne brilliantly. 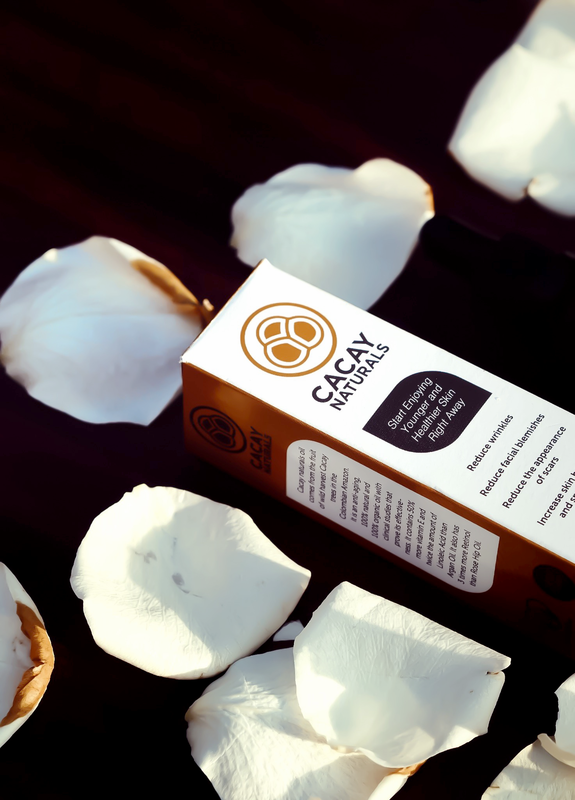 The skin nourishing essential fatty acid which makes Argan Oil one of our favourites – linoleic acid – is also found in super high concentrations in Cacay Oil. People who are acne-prone tend to have a low percentage of linoleic acid, and a high percentage of oleic acid in their sebum (natural skin oil). It’s thought that these low linoleic acid levels is one of the things that causes acne. 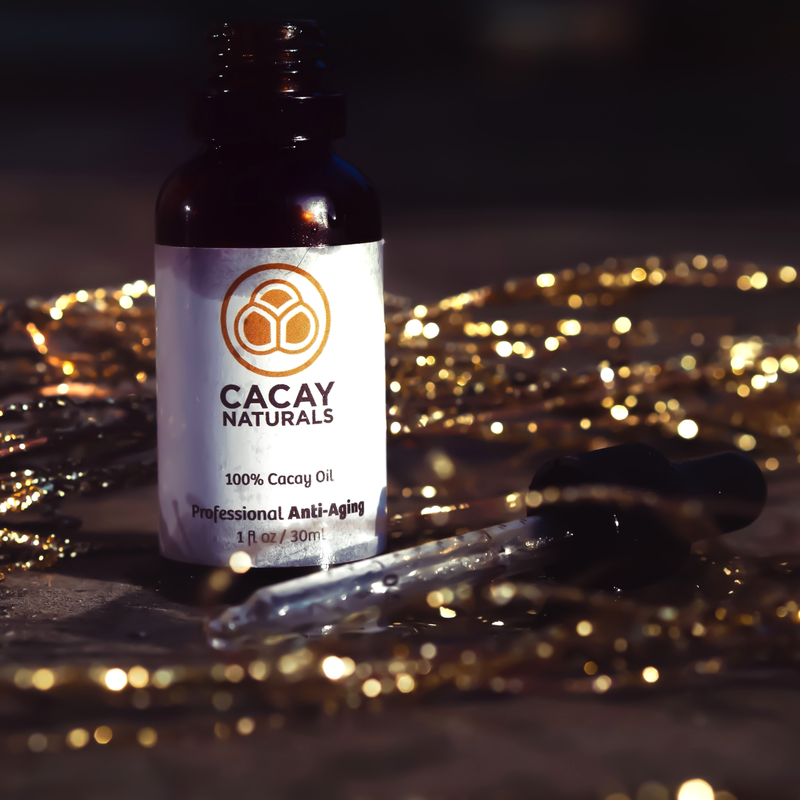 Cacay Oil provides a healthy dose of Vitamin E – 50% more than Argan Oil. Antioxidants are agents that neutralize the oxidant effect of free radicals, which are molecules that damage collagen and cause skin dryness, fine lines and wrinkles. Vitamin E is one of the most powerful antioxidants, but your body can’t produce it. This means you have to make sure you’re getting enough of this valuable nutrient from other sources, making Cacay Oil the perfect solution. 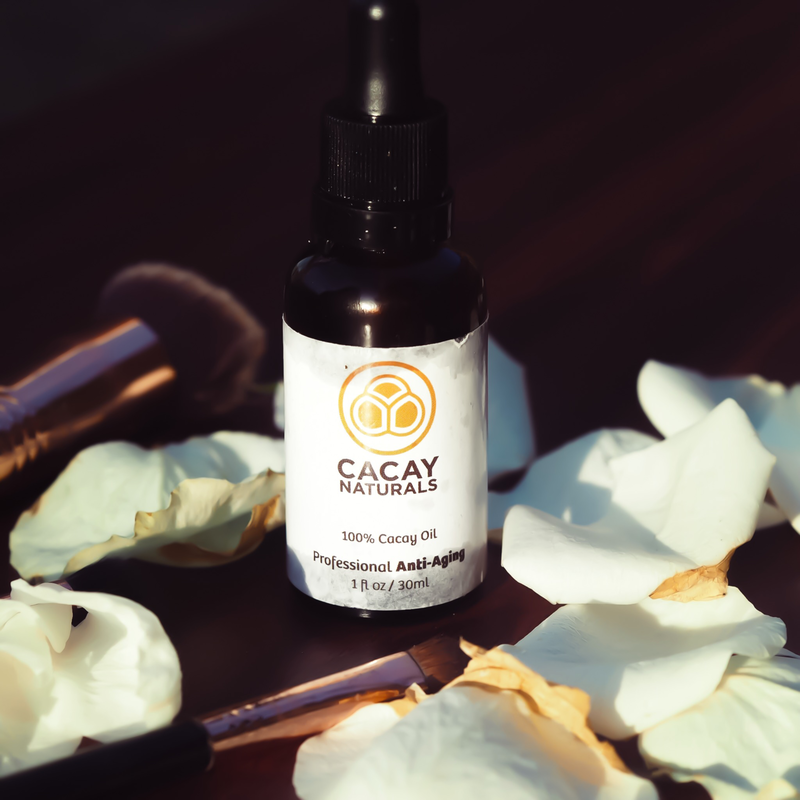 I add a few drops of Cacay Oil to my problematic areas – my chin, under the eyes and forehead. I apply before I go to bed or in the morning if I don’t plan on going anywhere. 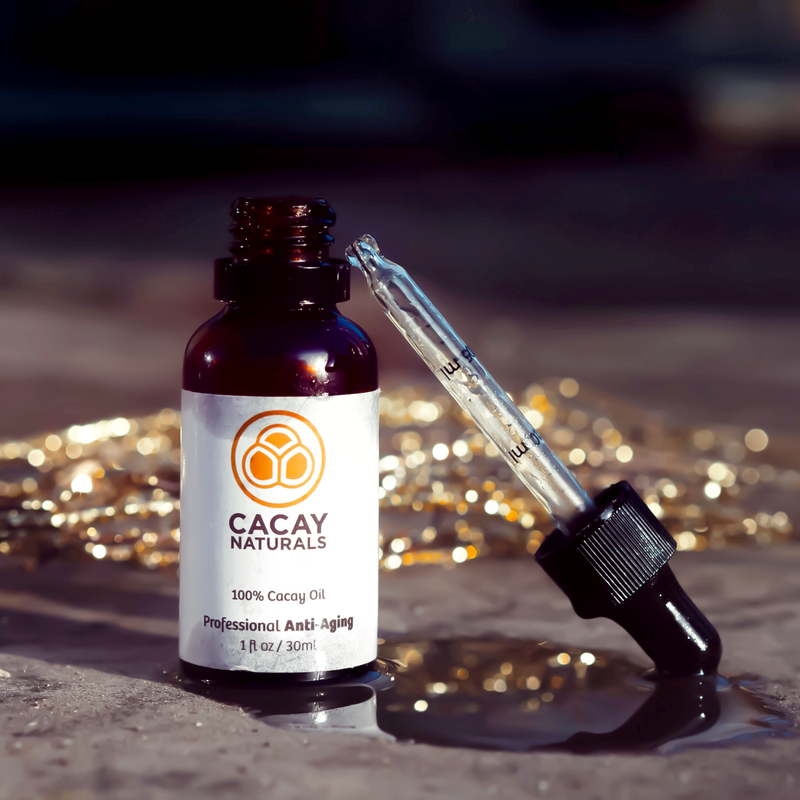 As well as an anti-aging and acne treatment Cacay Oil helps fade scars and stretch marks. I personally found it’s more effective than Bio Oil and apply it to all of scars including my acne scars once I get out of the shower. It’s no surprise that it’s also amazing for your hair! Try adding a few drops to your conditioner and leave it in your hair to soak for an hour or so to leave your hair feeling soft and smooth. Rub Cacay Oilinto your cuticles and on your legs as a shaving balm to really appreciate the full value of this product. IF YOU WANT TO HEAR MORE ABOUT CACAY NATURALS HEAD OVER TO MY YOUTUBE CHANNEL TO WATCH MY FIRST IMPRESSIONS VIDEO!